HILLSBOROUGH COUNTY, Fla. (WFLA) - The Hillsborough County Sheriff's Office is holding a gun buyback event on Saturday in an effort to get more guns off the streets. The swap will allow Tampa Bay residents with old, unused or unwanted guns to surrender weapons anonymously in exchange for $50 in cash. The exchange will be set up in a drive-through configuration. Residents should remain inside of their vehicles. A deputy will approach your vehicle, take the gun and hand you an envelope with cash. The event is anonymous, therefore no ID is required. 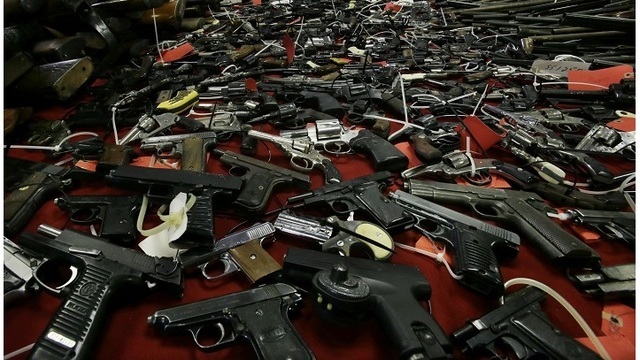 The agency plans to destroy all guns collected. Only unloaded firearms will be accepted. Other items, such as BB guns will not. "Our last Gun Swap was in 2013. 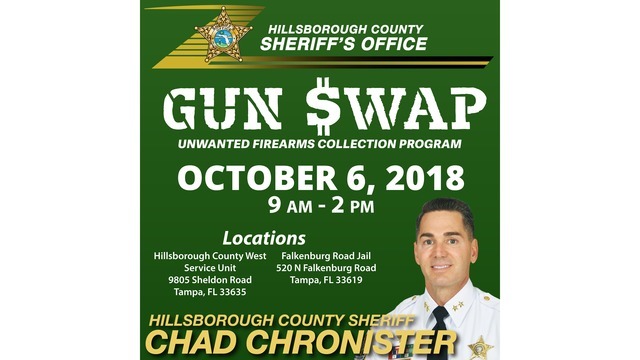 Your response was amazing, and with more than 2,500 firearms exchanged, it still stands as one of the nation's most successful swap for cash events," said Sheriff Chad Chronister. The agency said deputies distributed $55,000 in cash within an hour into the event. "Please take advantage of this great program to properly dispose of that unwanted handgun or long gun. Eliminate the chance that firearm is lost or stolen and ends up in the wrong hands. Put it in our hands and get some money to boot!" Chronister said.